Shimadzu needed various demo animations for E3 Expo showing off their consumer oriented heads-up display, “MIRAGE”, based on the same technology they use for jet fighter planes. 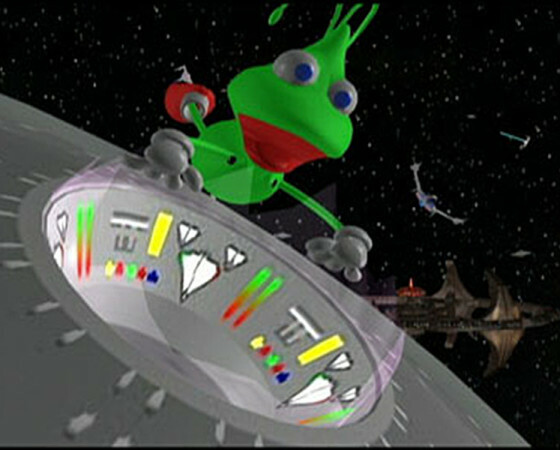 This animation was actually delivered both with and without the virtual space station or background. We also created a real model of the space station with fiber optic lights and a painted mural background. Only object in motions (Space shuttle, fighting ships and aliens) were projected with MIRAGE over the real world objects in the background. The full animation was developed in order to, 1) visualize the final output, have a concept for the space station model and background space mural and 2) to provide Shimadzu with a full promotional animation for other purposes.